Remember when car keys keys looked like this? Honda Heaven. That’s what I experienced on Friday. Most days at the office, I’m trudging through incoming email volume from 150-250 messages during my 9-hours at my desk. But every once in awhile, an escape from that harsh reality is just what the doctor ordered. Accompanied by 6 car-enthusiast friends (including James from Six Speed Blog and Jason from Driven for Drives), I headed for the sunny mountain roads of southern Arizona in search of what I’d call “automotive therapy.” Three hundred miles later, I wore a grin of contentment that clearly reassured me: that drive was totally what I needed. Our special guest on this particular excursion was author Steve Lynch, pictured above. 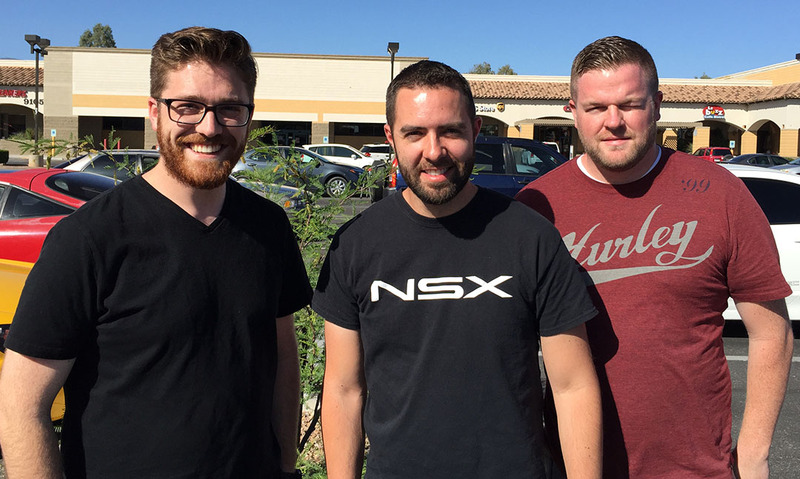 I first met Steve through a group of automotive journalists called Phoenix Automotive Press Association (PAPA) a number of months ago. He and I attended a roundtable discussion at the Phoenix Art Museum that centered around “how to write a book.” As it turns out, Steve is an expert on such matters as he is a published author. 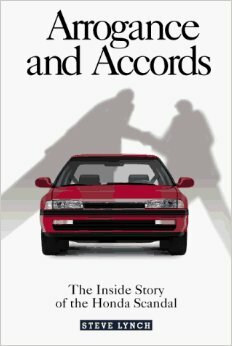 His 1997 book Arrogance and Accords details some of the inner dealings at Honda during the early 1990s when he was employed there. 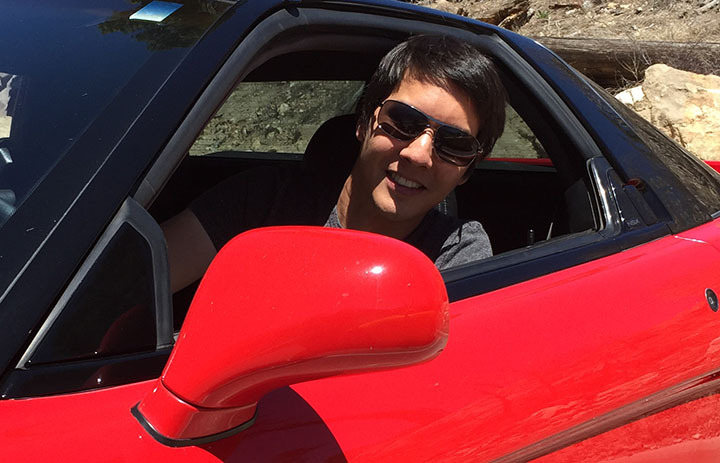 He later went on to spend 17 years working in Finance for Mercedes-Benz and currently writes for an automotive blog called The Truth About Cars. 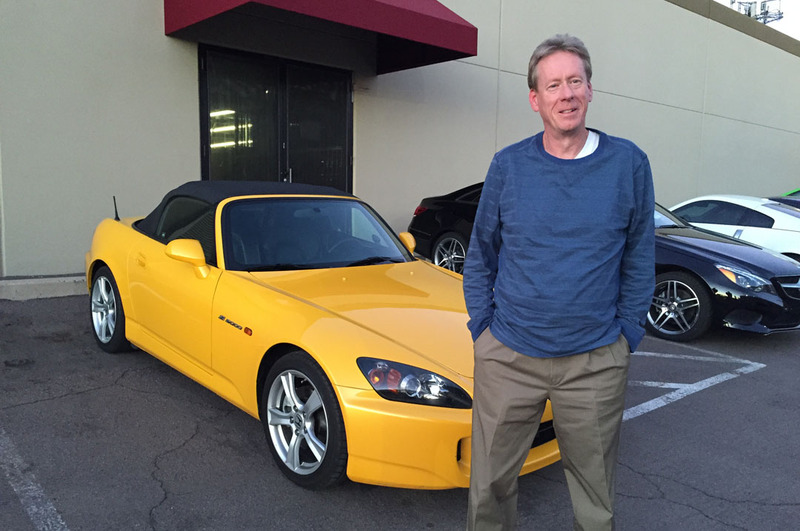 Naturally, when I saw Steve pull up to a later PAPA event in his eye-catching Rio Yellow 2008 Honda S2000, I had to pick his brain a little more. We ended up deciding to coordinate a drive/story. And that’s what you’re here to see today. 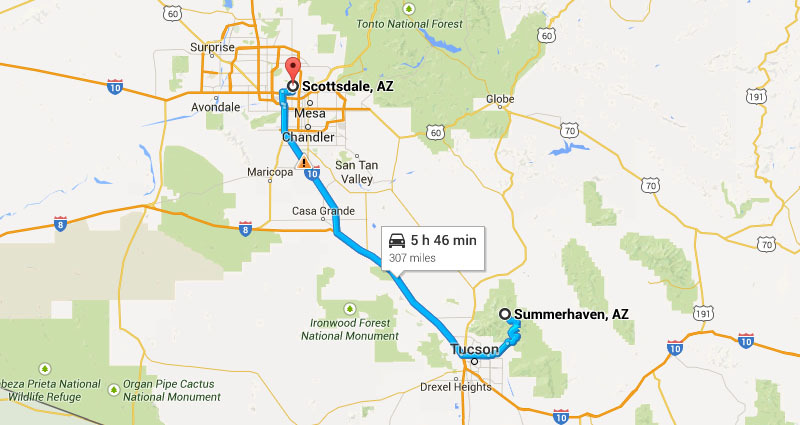 Departing from the Phoenix area, the first 100+ miles of our drive were relatively mundane interstate commuting on Loop 101, Loop 202, and Interstate 10. 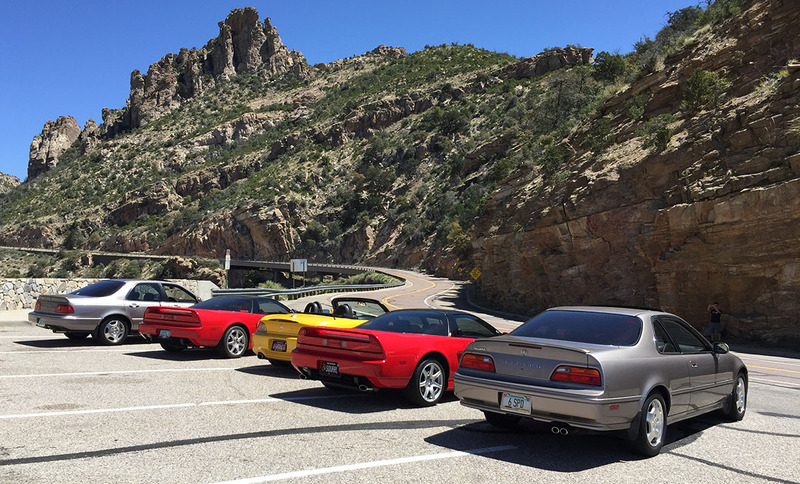 I led the pack in the Legend coupe and set the pace for our 4-car caravan. 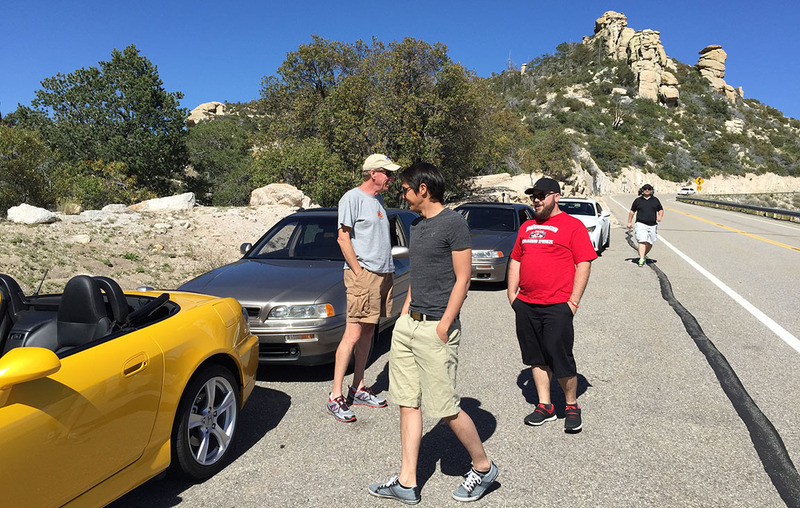 After dealing with some heavy construction traffic on Grant Road in Tucson, we finally made it to our meeting spot with Steve who was already snapping pictures. Steve had scoped out the drive route to Summerhaven beforehand – even going so far as to plan out a few potential stopping points along the way. The first was at Seven Cataracts, about halfway up – a dramatic overlook of the valley below with ample parking space which we had entirely to ourselves. 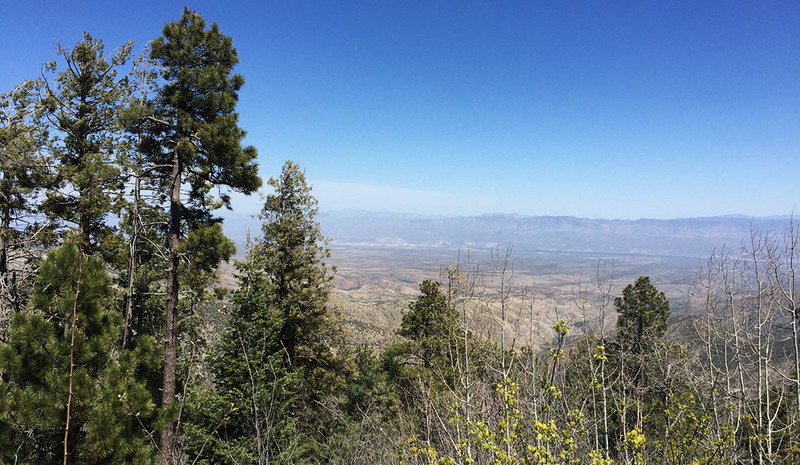 The higher in elevation we got, the more pronounced the smell of fresh pine trees became. The temperatures and light breeze as we got to 6,000 and 7,000 feet made it the perfect weather for windows-down (or top down!) weather. 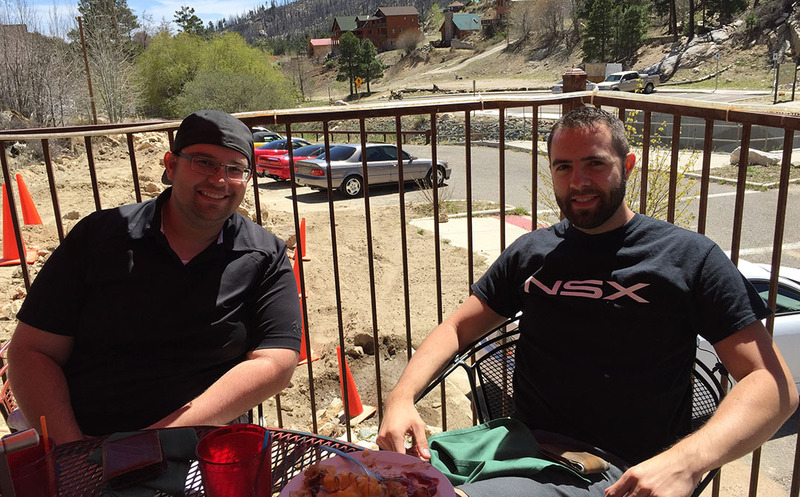 We rowed our 5 manual-gearbox Honda & Acura cars to the 8,200-foot summit and then paused for a patio lunch session at a restaurant called Sawmill. 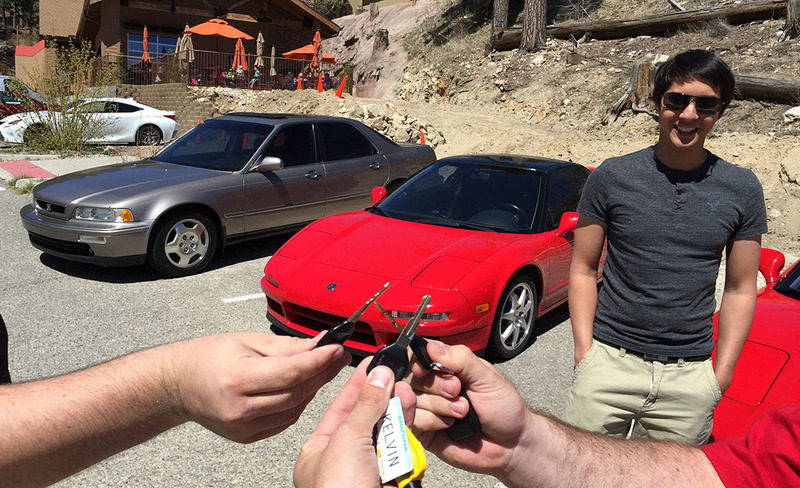 From there, it was time to play what we liked to call “musical cars.” Keys got tossed around. We looped back to Seven Cataracts as a way to give people the chance to car-swap and experience the other vehicles on the roster. While slow-moving traffic did at times slow our pace and we were mindful of the need to watch for bicyclists and the local sheriff, we still had enough chances to let our engines breathe at higher RPM and give our suspensions a workout. At the end of the day, we nodded our heads in agreement that there was certainly no “best” car of the bunch. Each one had its merits and its drawbacks. But there are certainly things that stood out from my driving impressions that I’ll share (and similarly, Jason and Steve will also be posting on their respective sites). 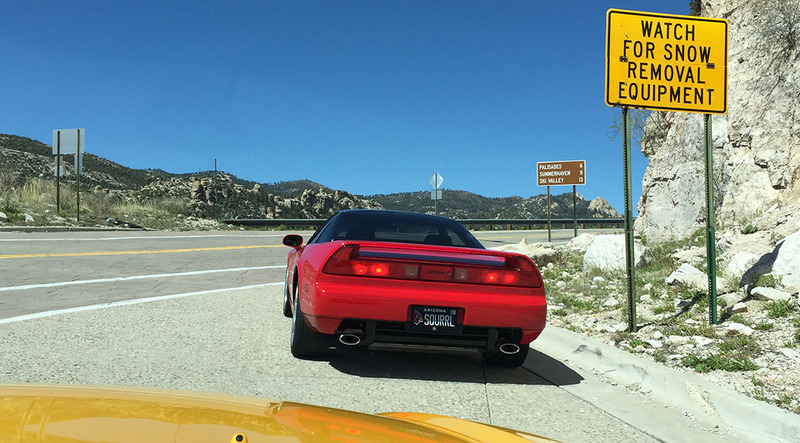 The 1992 NSX is what I can best describe as a “raw” driving experience. There’s no power steering so it’s heavy at slower speeds but undeniably direct and responsive once you get rolling. Body roll is nearly non-existent and there is nothing quite like hearing the roar of VTEC from behind your head when climbing the grades. It’s a challenge to get in & out of the low car without a bit of a strain. This car rolled 100,000 miles on the way back to Phoenix later in the afternoon. You’ll see a feature story on that soon. 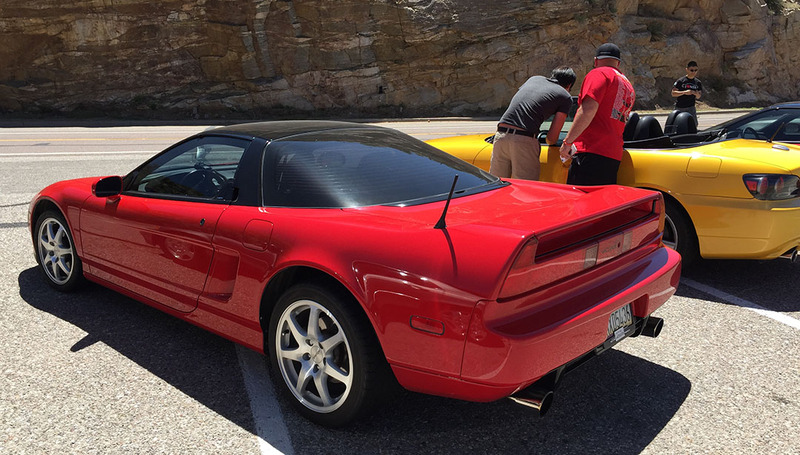 Kelvin’s 1993 NSX is mechanically identical to my 1992 but has a different shift knob which I loved and a performance exhaust system that really gave the 270-horsepower 3.0 motor a nice growl. Kelvin’s got me thinking about exhaust systems now! At 144,000 miles, the car still drove as tightly as mine does at 100,000. 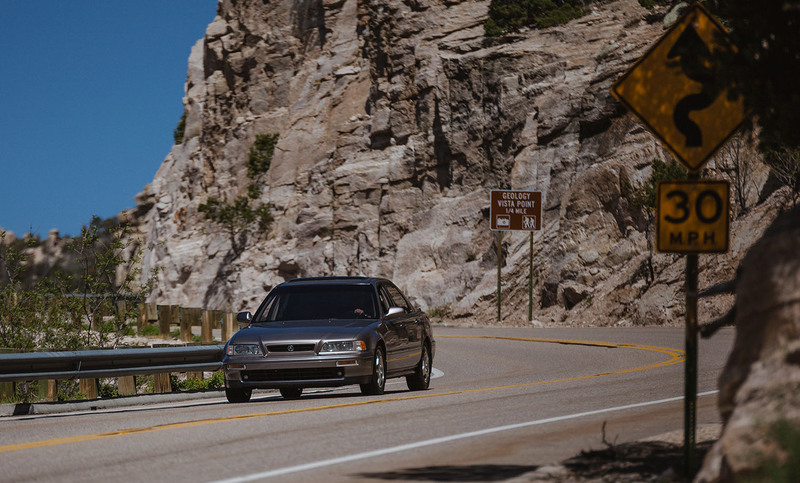 The 1994 Legend coupe must still have a few of its original elderly 230 horses alive, because the car was still able to easily pull itself up to the summit without a ton of downshifting. It’s a torquey motor and still sounds and acts healthy. The suspension on the car is original (and very noticeably so). While the ride is comfortable and quiet, the amount of body roll is excessive and the car exhibits understeer extreme when pushed in the corners. Steering feels overly assisted for a performance driving environment. My 1994 Legend sedan was only driven 278 miles from last July to December. It sits in a storage garage and comes out once every few weeks for a walk around the block. This 300-mile drive was good for the car, I’m sure. I noticed a light puff of blue smoke when Jason fired it up at the beginning of the day – I suspect there is a valve stem issue brewing. But that Legend sedan became an all-day crowd pleaser. Everyone talked about how comfy the seats were and how smooth the clutch and gearbox were. 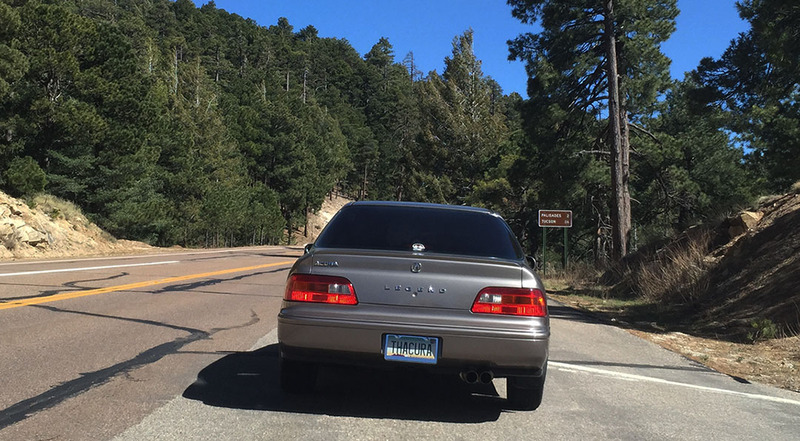 The car is equipped with a Stromung exhaust system that Jason said did “drone” on the interstate a bit, but was fun to have on the mountain roads. 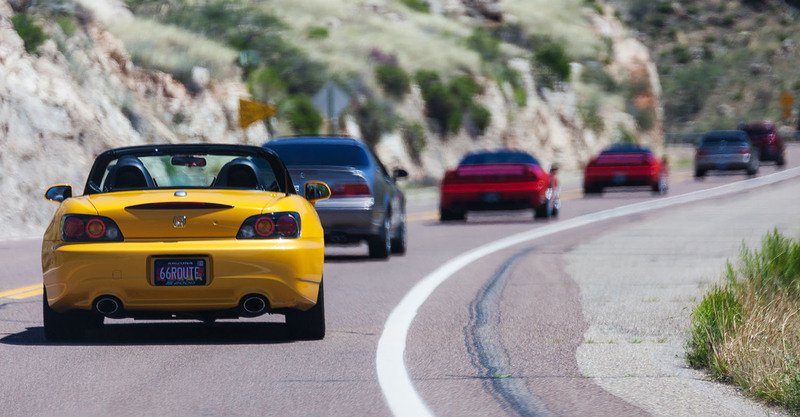 Steve’s 2008 S2000 was just as fun as could be. From the moment I hit that START button on the dashboard I knew there were good times ahead. Despite having the smallest motor in the group – only a 4-cylinder – it had 7 more horsepower than the Legends. Handling is light and the car can be “tossed” in any direction effortlessly. It’s a riot to let the motor rev into the higher range. Finally, there is simply no substitute for the feel of a top-down convertible on a perfect springtime day. I loved every second of it. The takeaway from all of this – and something I think that Steve will convey in his upcoming article – is that these cars embody how it’s possible to inject a fun-to-drive demeanor and a healthy dose of performance into a car that is still comfortable enough to drive every day. Honda has always been good at this. Still, we all agreed, the company has been in a bit of a rut in this regard. Sure – the new NSX will hit the sales floors later this year, but most of us will probably never afford one. And the newly-announced Civic Type R will make a nice machine. 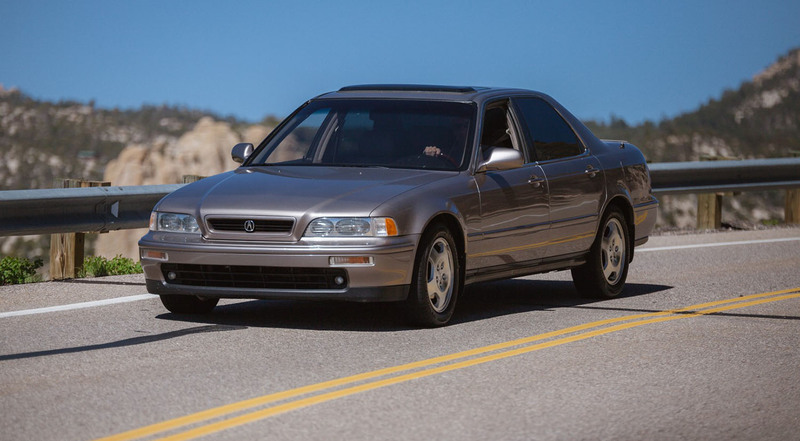 But where is today’s Acura Legend coupe or today’s Acura RSX? Give me a fun-to-drive luxury sports coupe that is actually within financial reason. That’s all I’m asking. And to the Honda corporate folks who I know follow my blog, that’s my plea. Many thanks to my awesome friends for coming along on this trip, and especially to Beau from The Shutter Co for sharing his professional photography skills. It’s thanks to him that we got most of the great shots featured herein. 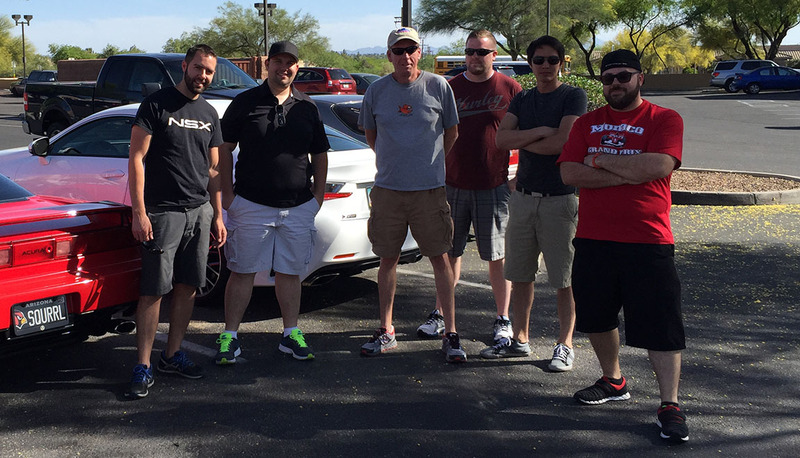 The 2015 Lexus RC350 was driven by James and acted as our photo/chase car. Thanks for bringing it! 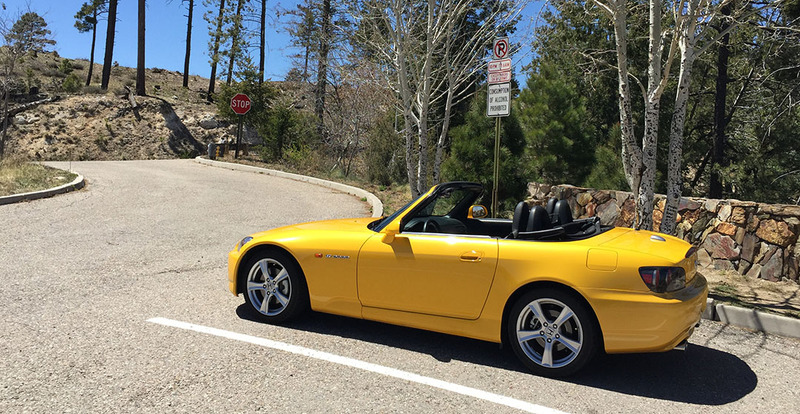 Steve’s S2000 was blinding in the sunlight. 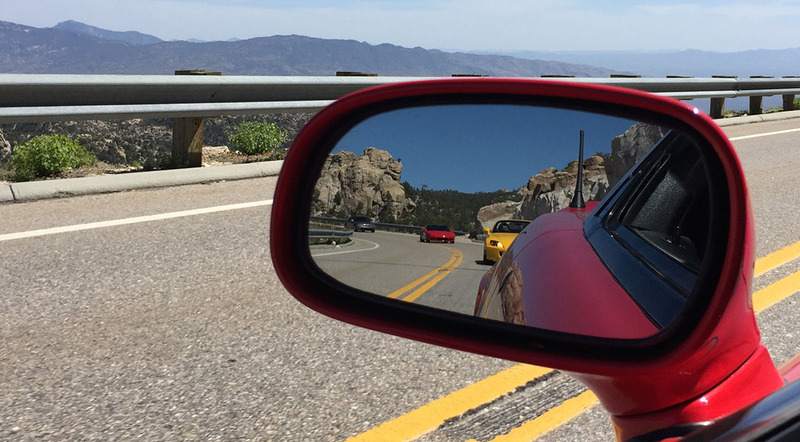 Nothing like seeing two Acura NSXs in your sideview mirror. Group shot. Kelvin had already departed but this was everyone else! Tyson, James, Steve, Beau, Jason, and Peter. Thanks guys! 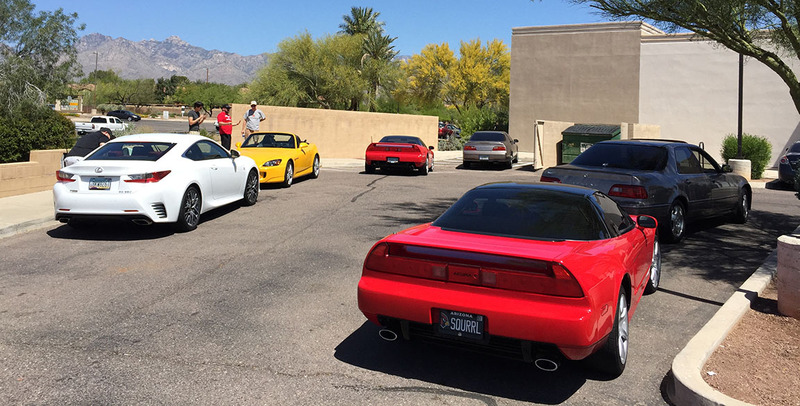 This entry was posted on April 12, 2015 at 4:29 pm and is filed under Arizona, Legend, NSX, Road Trip. You can follow any responses to this entry through the RSS 2.0 feed. You can leave a response, or trackback from your own site. Haha, I had about 40 minutes of GoPro footage between the two cameras so I just picked a little bit from each. I need to get that camera back to you this week. I had such a blast on the drive. Let’s start planning our next one. This post is just way too awesome Tyson! I love the color on that S2000 and it is nice to see the Legend sedan out of hibernation! As a car-enthusiast and Honda/Acura lover, I really do wish Acura would release a luxury-sports coupe, because history proves that they know how to make comfortable, fun-to-drive coupes with examples being the Legend, Integra, RSX and CL. Thanks Sunny, you know it. I was glad to get out and about to spend a beautiful day driving some beautiful Honda products. My friend Peter referred to these cars as “top shelf” – and he’s right, these are the cream of the crop. I’m with you on hoping for another 2-door one of these days. Have a great week. 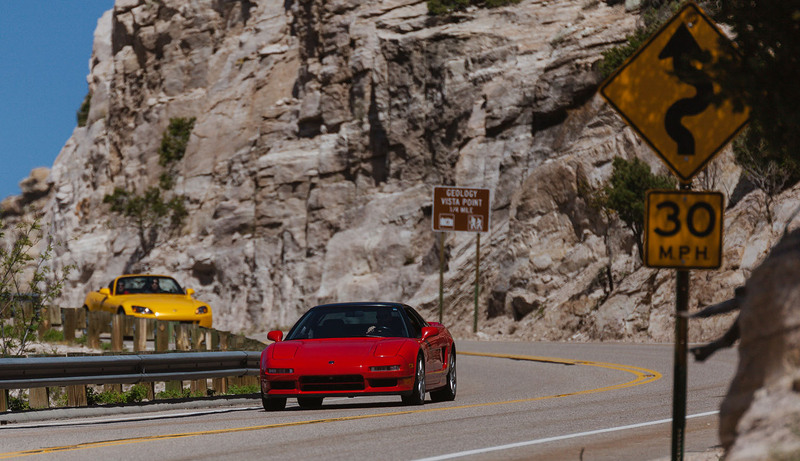 You’re welcome to test drive the NSX whenever you like! Haha, sounds good! Safe travels today to Texas and take plenty of pics along the way. Really glad that you came out to spend the day with us, and Steve & I both thank you for your valuable feedback on the cars. Talk to you soon!! Wow — so that’s how you chose to spend a day off? Good choice! Also a good choice of music to tag your video to. Ride on. Write on! GREAT way to spend the day off. 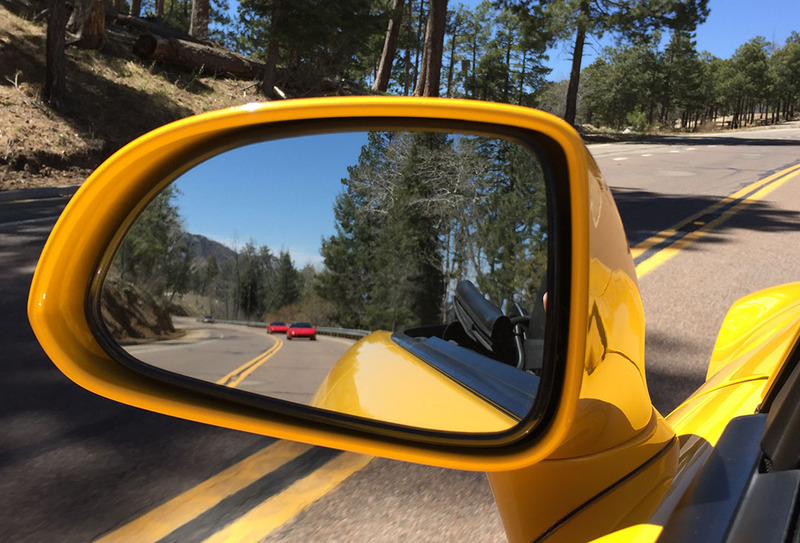 Bring your convertible EOS down here and we’ll drive that same road. You’d love it. Awesome write up and perspectives Tyson! Yes and coming from an Acura dealership, I agree that we could use a boost in the coupe department. The new ILX and TLX are wonderful for what they are but not all vehicles should be based solely on its salability. Sometimes the risk is simply for branding. If we are to look at our Lexus’ RC or our European counterparts as an example, almost everyone has coupes in their production. Adam, hey thanks for reading! And an even bigger thanks for your comment. I’m so glad that you agree with me on the ‘gap’ in the current Acura lineup. It’s been there for almost 10 years since the RSX was killed off after the 2006 model year. I’ll continue to hope for a successor. I hope things are going well out there in CA. Take it easy and stay in touch. I’ve always wanted to drive an S2000 but have yet to have the opportunity. This group of cars definitely represents HMC at its best. I think the company is finally starting to turn the corner, but time will tell if they can close the gaps you point out. The newly unveiled Civic looks promising, but on the other hand, a 6 speed manual can’t be had in any Acura product at this point. That’s unacceptable. Totally agreed! Thanks for siding with me! Haha. And, you do need to give an S2000 a whirl sometime. Total grin-machine.